Do etb effects apply to taking control? 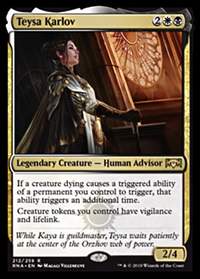 If 2 knight of the white orchid enter at the same time how do the ETB searches resolve? Can you get double lands with Knight of the White Orchid? 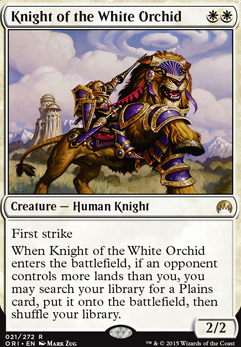 When Knight of the White Orchid enters the battlefield, if an opponent controls more lands than you, you may search your library for a Plains card, put it into play, then shuffle your library. Knight of the White Orchid is particularly useful, as there isn't much in the way of mana ramp for White. hey, thank you for your suggestion. Knight of the White Orchid looks like a nice card. i am not to sure what to take out yet but i will certainly remember him. 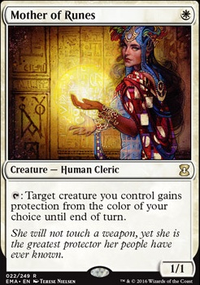 Knight of the White Orchid is a must-have in almost any white deck I make, (though I don't play much Commander format) especially multicolor decks since you can use it to fish out dual lands such as Godless Shrine (which I see you already have) as well as Scrubland (Well outside your desired price range I'm aware). Black/White is admittedly not the strongest dual-land combo to use him in, as there are more dual-color options if one can include things like dual-color Battle Land from Zendicar or dual-color Cycling Land from Amonkhet (for which there are no "Plains-Swamp" options), but I just ran a test game with a B/W deck and given the limited number of mana-ramp options for white, I think it fared decently since his utility extends beyond just fishing for dual land. 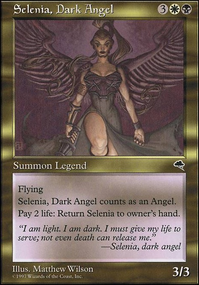 Either way nice deck, I used Ayli as my first Commander as well. I would take out Abbot of Keral Keep for Akroan Conscriptor . Also instead of Knight of the White Orchid I would put Weathered Wayfarer . Check out my list. you do have some of them I see, I actually didn't check your creature list before commenting, but yeah, Knight of the White Orchid is also good with the other. Boreas Charger needs to die to grant you the land, but it is good too. 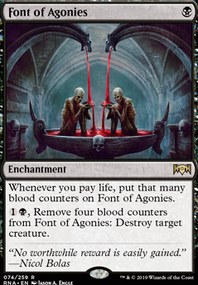 I might add that one to my deck actually. 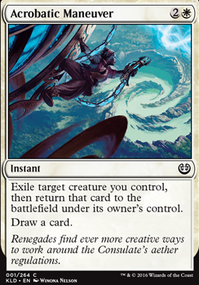 creatures that drop lands on ETB are good too, Knight of the White Orchid is staple creature in white decks I would say.